The Unstone Coal and Coke Company who extracted coal from the colliery into the early part of the twentieth century latterly owned the colliery. The colliery was linked to Unstone Main colliery by an overland tramway by the 1890's. The colliery was originally sunk in the 1840's under the ownership of a small private company and continued in the hands of these small companies until it was purchased by the Unstone Company some time after closure in 1877. From sinking until 1869 it was operated by G. Wright, from them Gill and Co. ran the colliery from it being reopened in 1874 until about 1876 when it was run by Havenhand and Allen for a short while until 1877. The colliery comprised of two shafts, the easterly being the upcast shaft and the westerly the downcast shaft. The shafts were around 385 feet deep into the Blackshale or Silkstone seam that was worked extensively in this area. BRANCH 7" MICKLEY THICK AT 136' from the surface. COAL 19" MICKLEY THIN AT 194' from the surface. DIRT 6" GRENOSIDE SANDSTONE COAL AT 498' from the surface. Unstone Coal and Coke Company. On Monday morning a deputation from the men employed by the Unstone Coal and Coke Co. LTD. at the Apperknowle and Dronfield collieries waited upon Mr. Ward the manager and the chief officers at Mr. Ward’s invitation. Mr. Ward said he had invited representatives of the men so that he may explain the position in which they the employers were now placed. The collieries were now working at a loss of £130 per week so the company had now decided to rest down both collieries until the trade improved which he did not think would be long. The notices would be served on Thursday. The deputation agreed to accept the notices and expressed the hope that the depression would soon pass away. 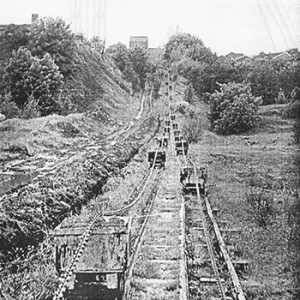 A tramway ran from the colliery to the railway at Unstone in the valley. This was a gravity operated system with a large chain loop running from top to bottom. One track ran downwards bringing the full tubs of coal to Unstone whilest another track ran upwards bringing the emptied tubs up complete with new mining materials from Unstone. The weight of the full tubs under gravity bringing the lighter materials upwards. The large chain was fastened or draped on top of each tub possibly with a single upright fitting through the holes in the chain to secure them for the journey. It is difficult to tell from the photograph but I do not think the weight of the chain alone would be enough to secure a tub full of coal running downhill. *Boring for coal at Unstone. 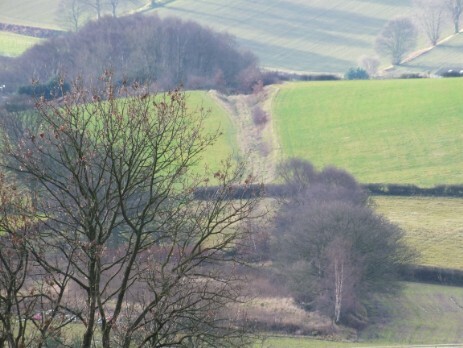 A committee formed to test the seams for coal underlying the nearly worked out Silkstone or Blackshale bed have now completed their arrangements for commencing operations. 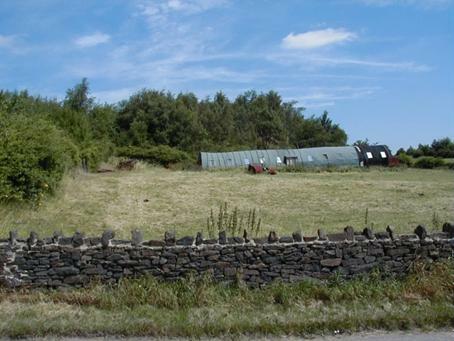 The Unstone Coal and Coke Company have allowed a pit at Apperknowle to be used for the purpose and to facilitate operations as much as possible, apparatus has been brought to the place and the work will commence at once. 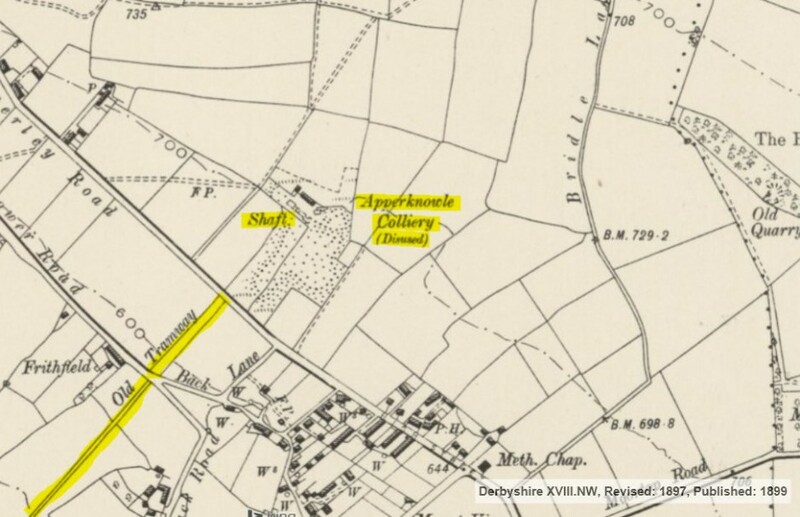 *The boreholes were apparently drilled in the pit bottom of Apperknowle colliery easterly, or upcast shaft between 1893-4 from the Blackshale or Silkstone seam which lay at about 385 feet from the surface. The borehole was 999 feet deep and proved the underlying seams of coal. Please note that the photograph was posted on Facebook on the Old Chesterfield Pics site and I will remove it should the owner so wish. However it is such a rare photograph showing the operation of a chain driven tramway. State of the art in its day.